Arthur joined Standard Chartered Bank as Management Trainee in Banking Operation upon graduating from HKU. It offered him a great opportunity to learn how a bank operates and the connection across departments. After a year’s rotation, Leo was assigned to lead a team in Trade-Finance Operations handling invoice financing for commercial banking clients. His last role with the Bank was being Business Analyst for a list of Private Banking products. After three years of internal banking roles, Arthur decided to give up stability to pursue the business, Model Factory, he has co-founded with partners during college years. Starting from sourcing models locally, the Company expands to establish partnership with overseas model agencies and scouting firms. Model Factory today has developed a strong base of model talents from across the globe, serving advertising and PR firms with their modeling needs in TV commercial and poster productions as well as PR and promotional events. Arthur’s next target is to further develop the strong relationship with leading brands in the market. Arthur graduated from the University of Hong Kong as Bachelor of Science in Information Management in 2015. Eric is an experienced finance and operation expert with a demonstrated history of working with listed companies and in fields of blockchain and venture capital. He is currently CFO of Soul Capital, a family office investing in blockchain and emerging technology companies. He also oversees the operation of Plair, a decentralized blockchain gaming platform invested by Soul Capital which aims to establish and grow a whole new community space for gamers. Eric is a seasoned finance and angel fund investing professional with a solid finance and accounting background through more than 10 years of experience working with listed companies and international finance and accounting firms. Prior to joining the venture capital and blockchain sectors, Eric was Financial Controller and Company Secretary of Zhong Fa Zhan Holdings Limited which is listed on the Main Board of the Hong Kong Stock Exchange (475 HK), Finance Senior Associate of the Macquarie Group and Audit Senior of Deloitte. Eric graduated from the University of Hong Kong with a Master in Laws (Corporate and Financial Law) degree in 2016. Leo is a surveyor-turned-entrepreneur encompassing traditional real estate businesses as well as the emerging property technology companies. He is also a Greater China Real Estate specialist and a PropTech trailblazer. Leo is Co-founder and CEO of Fonto Holdings, which is a Hong Kong-based boutique real estate and capital advisory firm specializing in real estate projects financing, pre-IPO advisory, investment, valuation and asset management, and serving clients in the Asia-Pacific Region. Leo also established a series of businesses in the emerging PropTech market in the Asia Pacific region. This includes PropBLK a real estate blockchain company, PropSeed Co. Ltd. which is in real estate crowdfunding, Asia PropTech that offers a community platform connecting PropTech players across Asia, Barking (Greater China) that operates shared car parking business, and Future Foundation a social enterprise for smart cities’ verticals such as vertical farming. Through these businesses, Leo forges partnerships with PropTech companies in the US and Europe, and builds up a PropTech ecosystem and a PropTech dedicated venture capital fund and accelerator in the region. Leo graduated from the University of Hong Kong with a Bachelor of Science (Surveying) degree in 2003, and received his Master of Economics in 2011. He was named the Excellent Young Achiever of the Year 2016 by the Royal Institution of Chartered Surveyors. Please complete the registration form by clicking the link below. For enquiry, contact Ms. Natalie Wong at natalie.wong@hkuaa.hk. or on 2522 6113. *We will confirm your reservation in around 5 working days. HKUAA Members have priority to join. 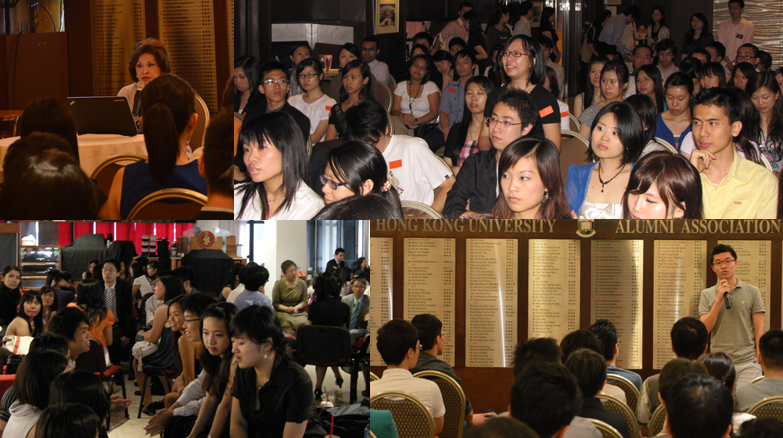 All HKU Alumni & Students can subscribe HKUAA Membership for FREE. Please click here for membership subscription. *You may visit our website before you enrol as we will update the places frequently. Please be noted that we will not be responsible for any delay in the information. *During the event, please follow all rules and instructions strictly made by HKUAA or the service provider. HKUAA will not liable for any damage, injury or death that may be caused.